Farmworkers are an essential part of our food system, yet one that remains unseen. They work long, hard days, handling dangerous equipment and chemicals all for low wages. Many U.S. labor laws that protect other workers include exemptions for farmworkers due to decades-old deals rooted in racism and systemic discrimination. That’s why today farmworkers are often not subject to the same minimum wage laws or union protections as other workers. 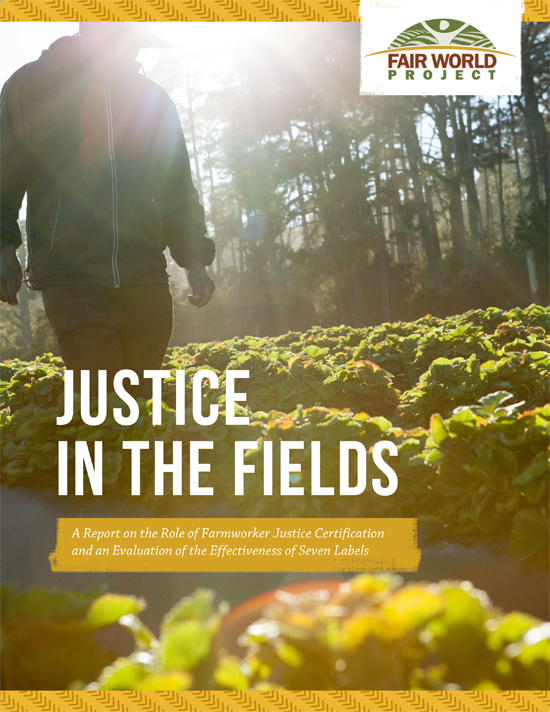 Our new report Justice in the Fields examines some of the key challenges facing farmworkers and reviews seven of the eco-social certifications that appear on our food. We find four programs with strong standards and good enforcement to help ensure workers are well treated. For a full analysis of issues from empowerment to safety, housing to wages, and enforcement, download the full report below and the fact sheet for a short resource on the people and jobs that support our food system. 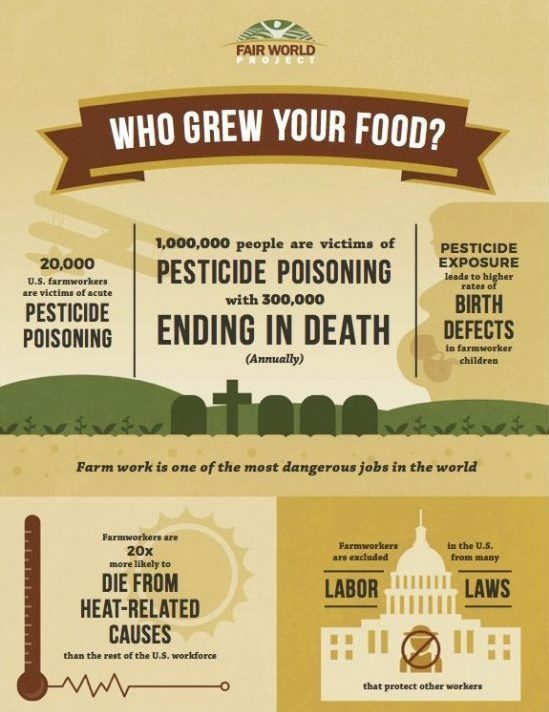 Chlorpyrifos is an extremely toxic pesticide used on a variety of common crops including corn, oranges, and strawberries.